Here is a small, 5’x8’ bathroom we improved to be both beautiful and functional. With the proper selection of materials, and proper installation, a small space can function quite well. 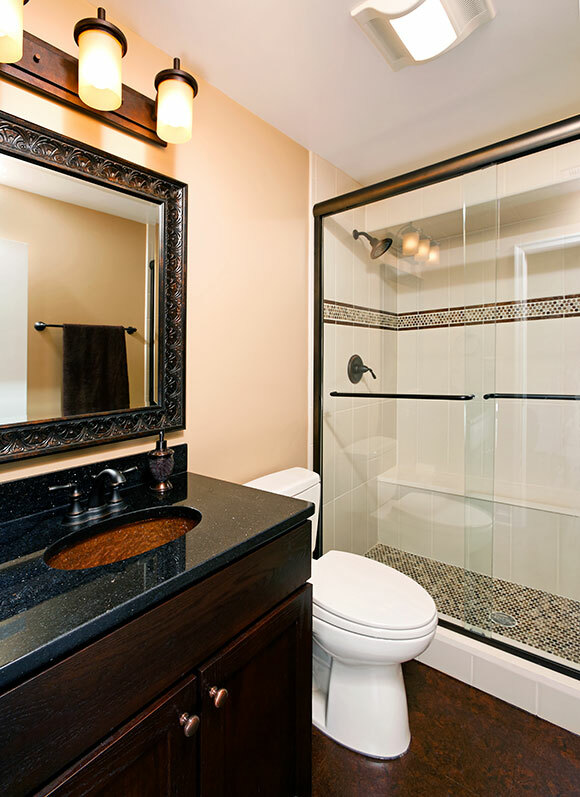 We enlarged the shower, added storage and countertop space and installed lights and mirrors. Each of these elements helps make this space function better and appear larger.